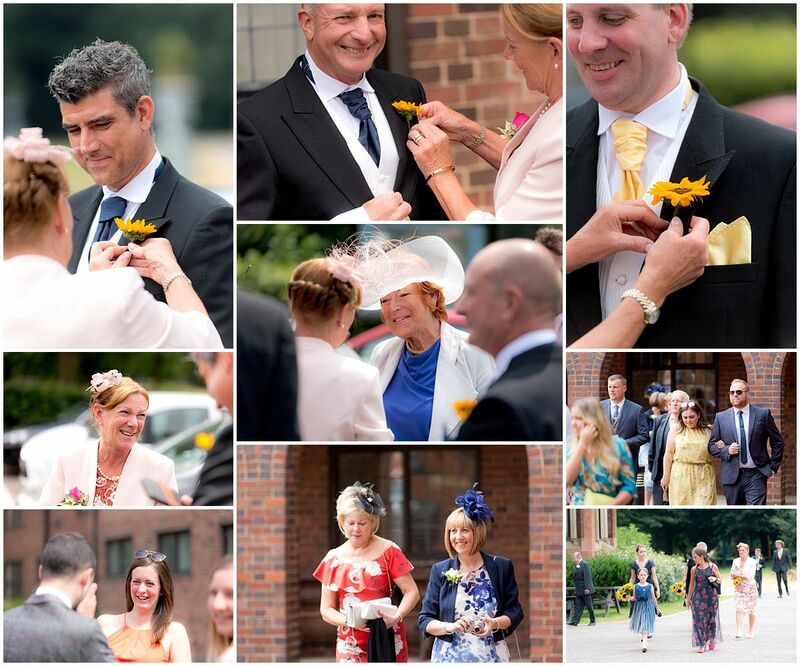 Summer is here and the weddings are rolling in thick and fast! 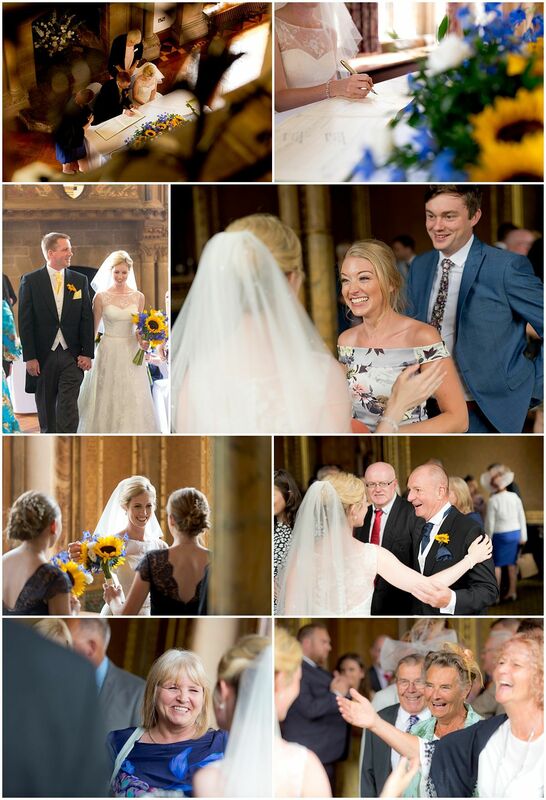 Talking about summer, here’s some lovely Kelham Hall Wedding Photography with the fabulous Mr & Mrs Horton-Turner. 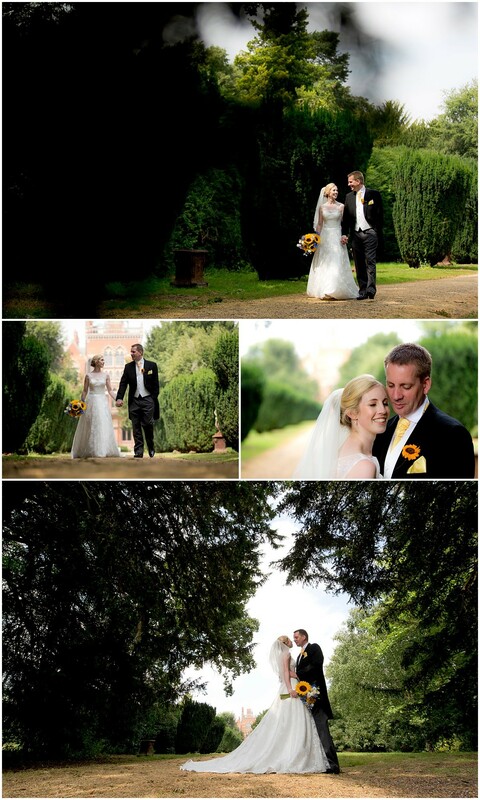 Nic & Edd had a bright and summery wedding with lots of love and laughter and sunflowers. 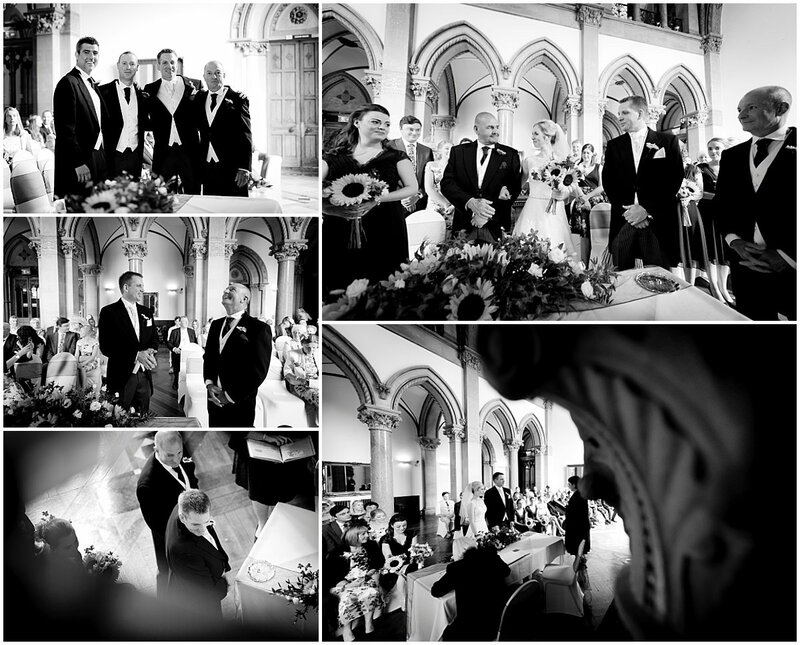 This would be my first Kelham Hall wedding and one I really enjoyed capturing. 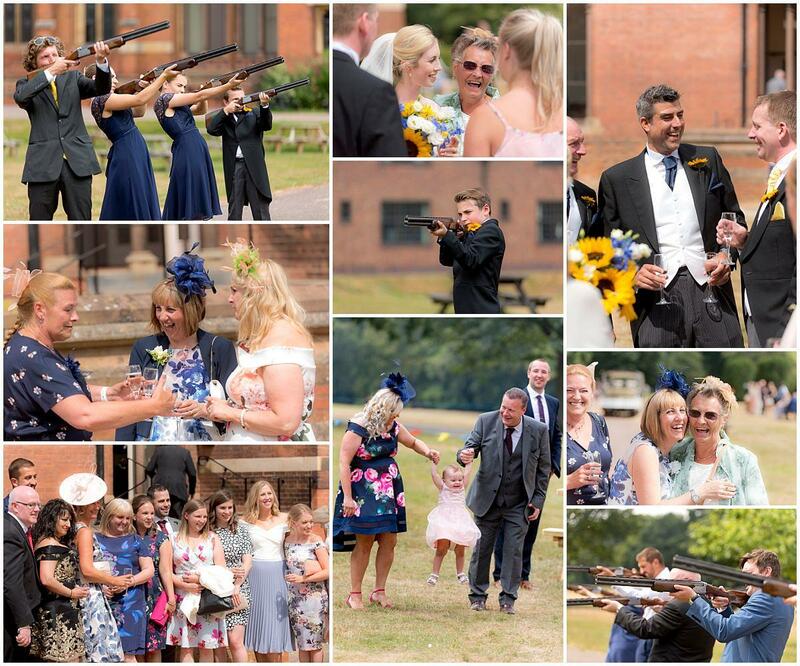 Kelham Hall is a Victorian stately home with bags of character and the perfect setting for a wedding. 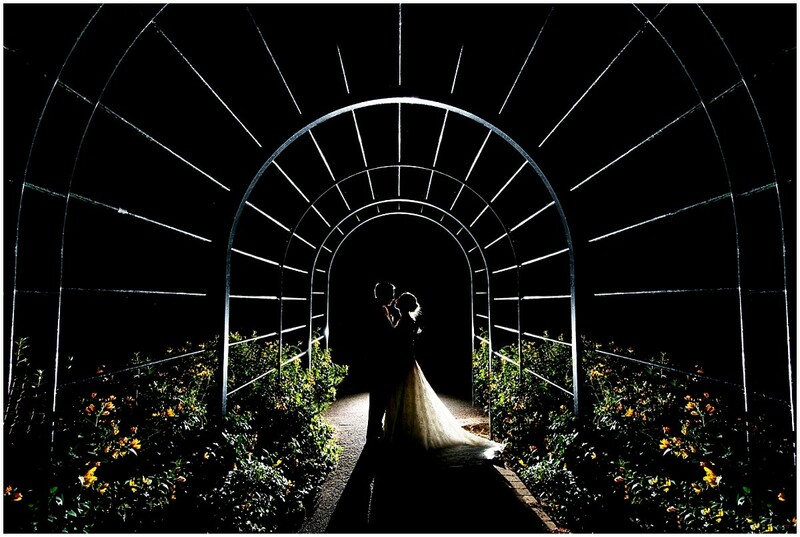 Finally it was great to end the day on a high and capture a n epic night shot of the newly-weds just outside the car park. 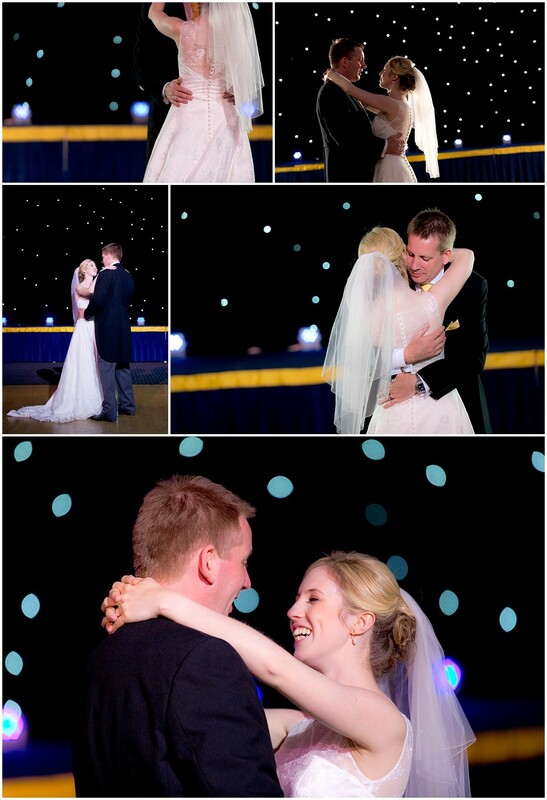 It’s these shots that look fantastic in wedding albums and end the story of the day perfectly! 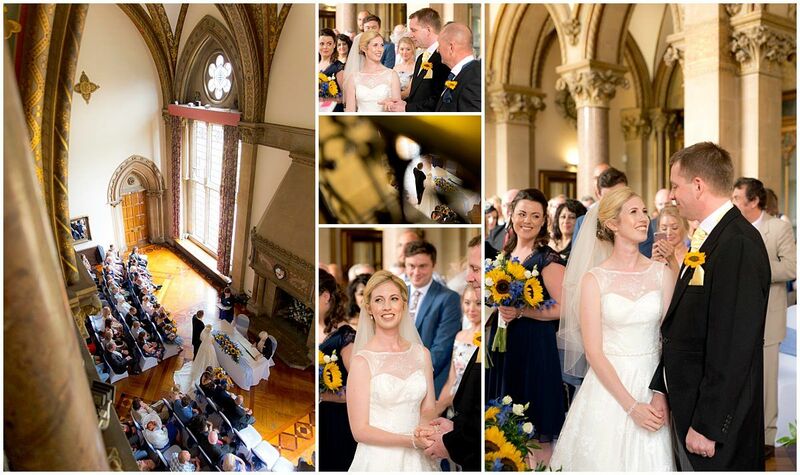 Congratulations Mr & Mrs Horton-Turner. 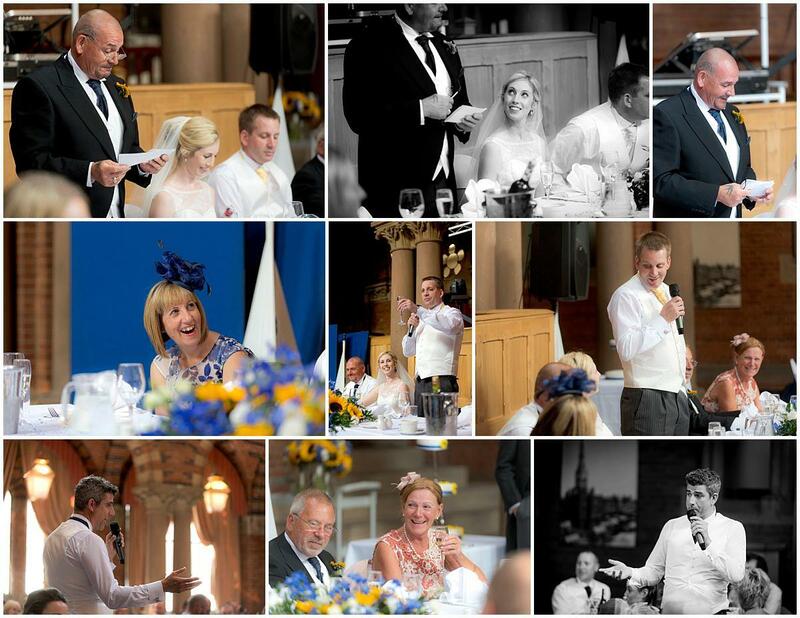 Here’s some of my favourites from the day and some info from the couple. There’s also some supplier information at the bottom which details all the people who collectively made their day so special! We’ve been together since 2009. Nic was a barmaid and Edd would come to the local pub and do the crossword in the evenings. We got very good at crosswords before he made his move! We were on holiday in the Isles of Scilly and had hired a boat for the day as a birthday present for me. (my birthday was in a few days but the weather was looking a bit dicey later in the week). So off we went, travelling around the islands and seeing lots of seals. We stopped for lunch on a small island with a beautiful white sand beach, just the two of us and the dog. The dog was playing in the sea and every time he barked a group of seals would pop their heads out of the water. As one seal kept coming in closer and closer, Edd decided it was the perfect time and presented me with a ring! It wasn’t the “proper” ring as he had already purchased some yellow sapphires but wanted us to design the ring when we returned home. Lovely that this would be something unique for both of us. 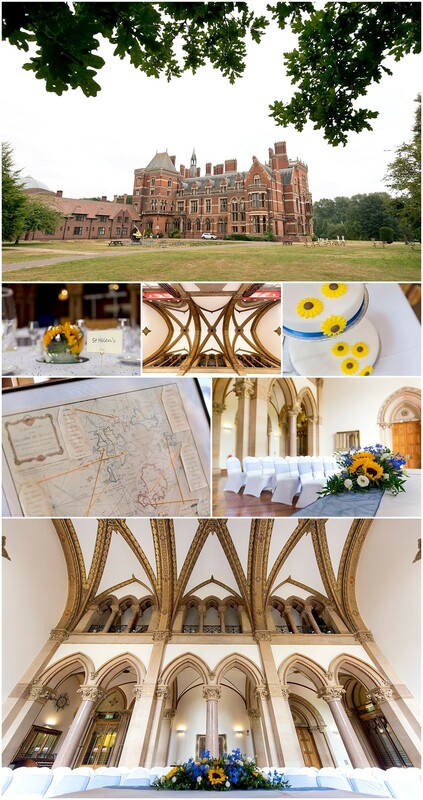 Edd has attended meetings at Kelham Hall before and knew how impressive it looked. We wanted something with nice architecture and surrounding areas. 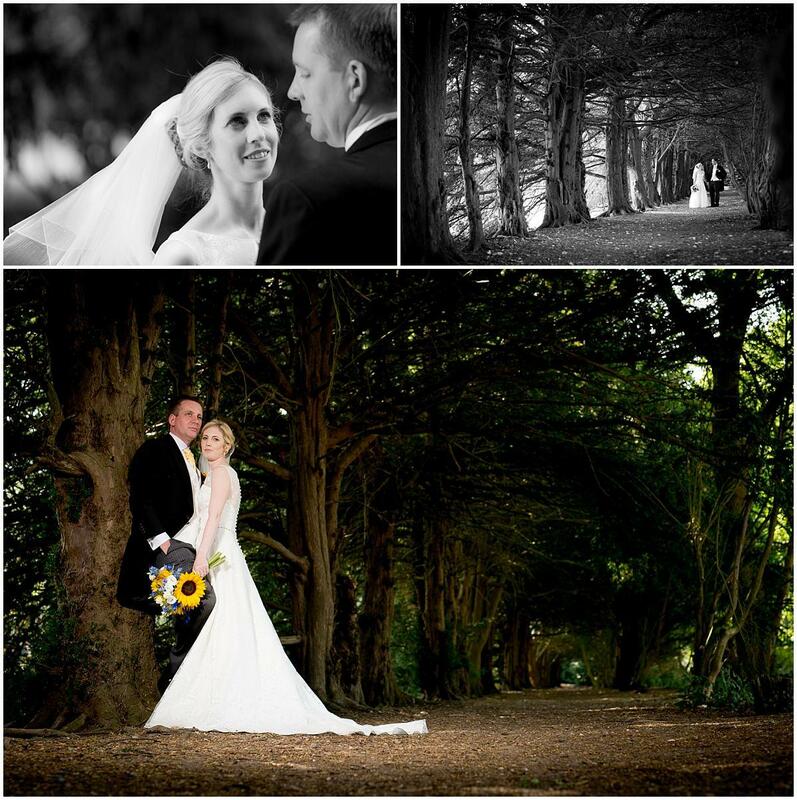 When we went to have a look round we both knew instantly that that’s where we wanted to get married. 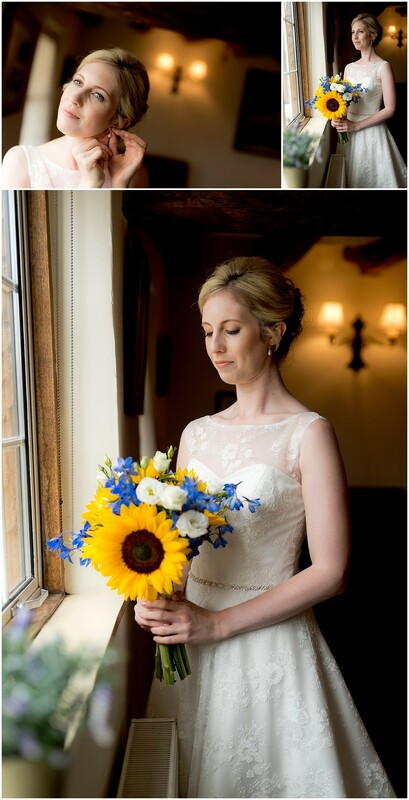 We both love sunflowers, they’re bright and summery and make people happy. We’ve grown several different varieties over the years so thought it would be nice to incorporate them into the wedding. Plus, it’s something different and not the “norm”. 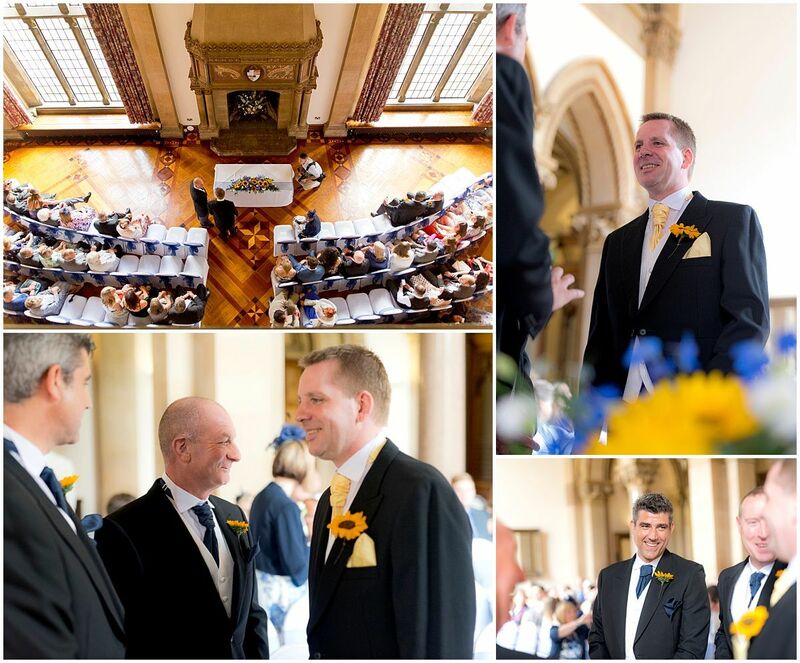 The use of blue bridesmaid dresses and a combination of blue and yellow for the Groomsmen bought the colours together nicely. 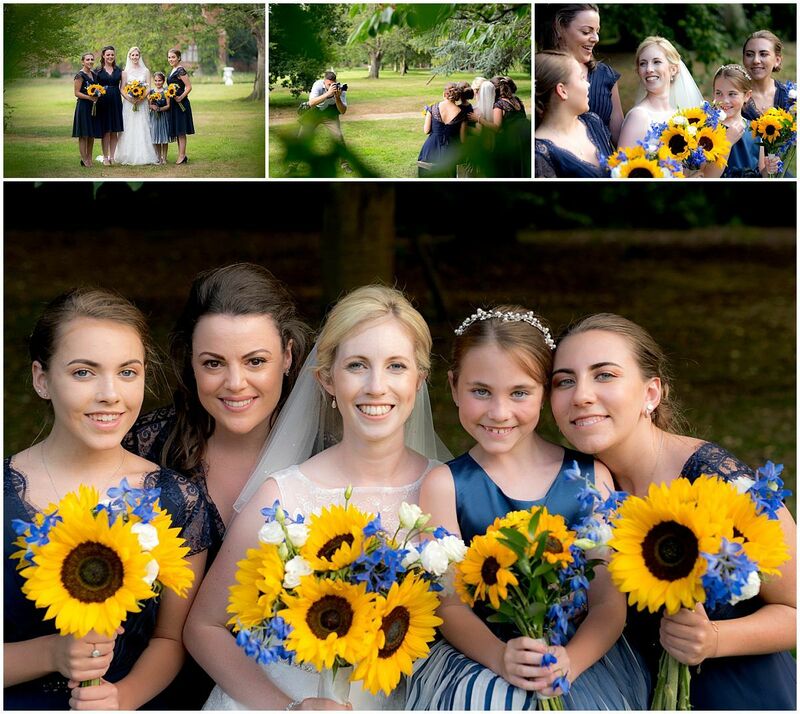 A lot of the theme was then centered around blue/yellow/sunflowers. We also designed our table names and table plan around the Isles of Scilly, with a map and luggage labels for the table plan. The whole day went absolutely perfectly. 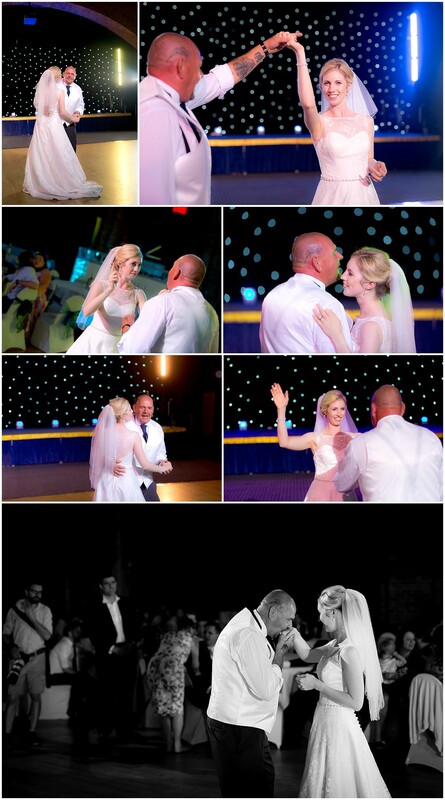 We both have favourite moments; Edd’s is seeing me walk in towards him and saying our vows, and mine is a silly little moment right at the end of the night when most of the guest had gone home and we were messing around and dancing on the dance floor, just us two with no one really watching talking about what an amazing day it had been! Remember to listen to what each of you wants. No one is “right” as you may both have different opinions. You can always work to a compromise. 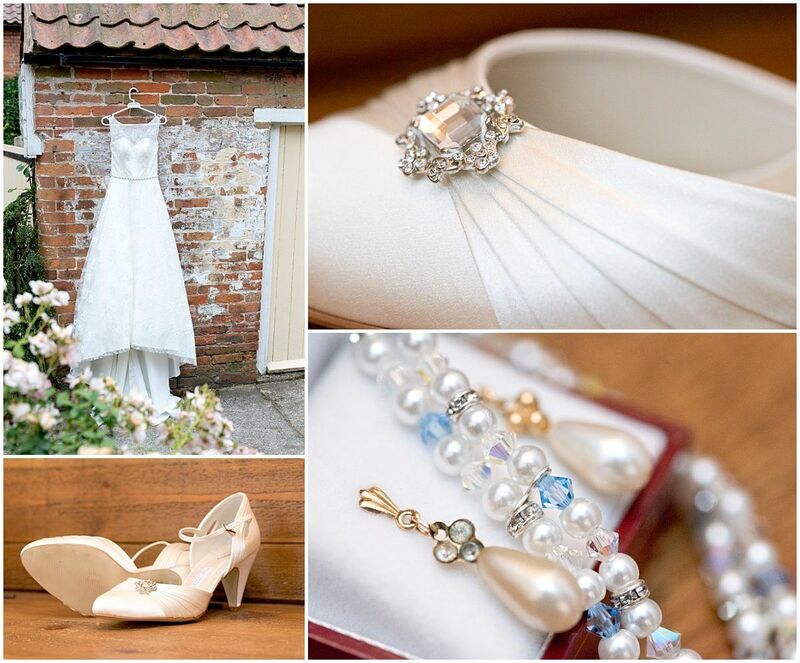 It’s your wedding, so do what you want. 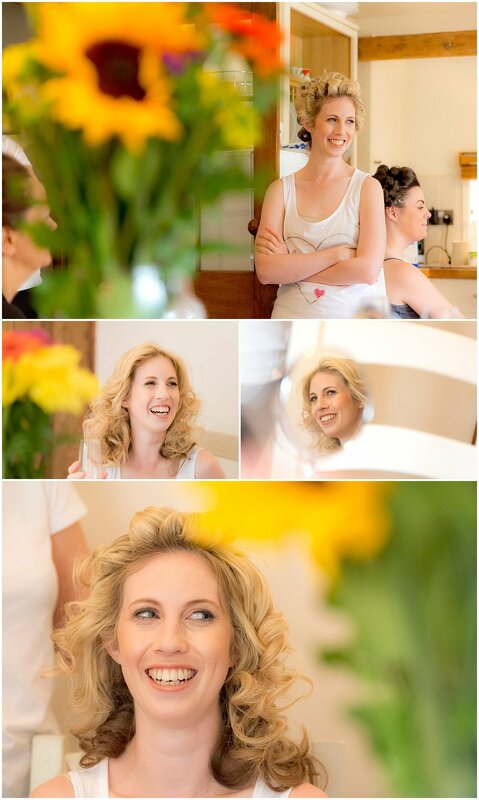 We had several people offer advice or suggestions of how things “should be done”, but it was exactly as we wanted. See if you can save yourself some money by finding alternatives or doing things yourself with help from friends and family. 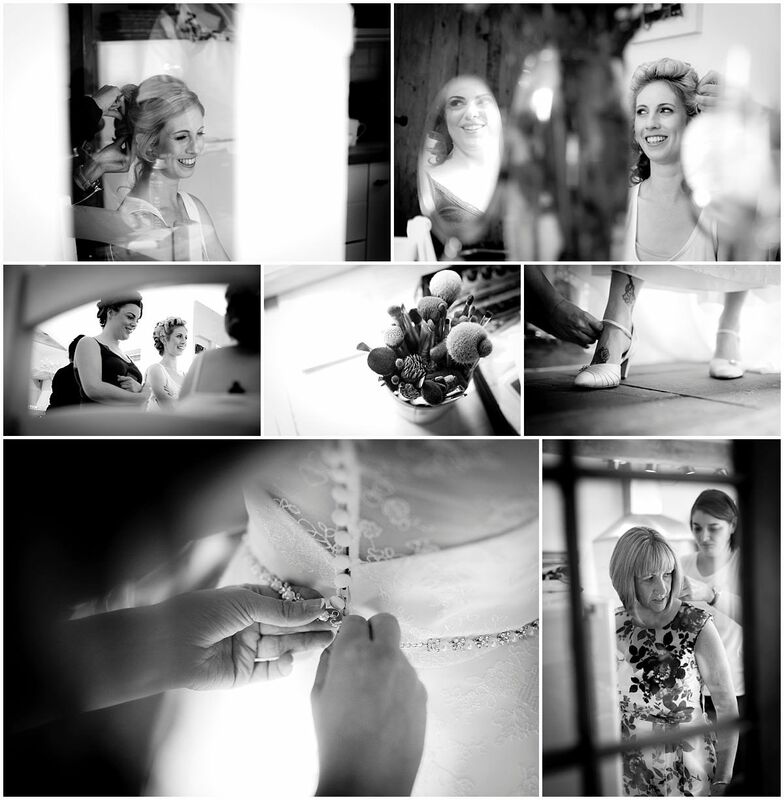 Stationary/Styling: I did it all myself, with some help from friends. 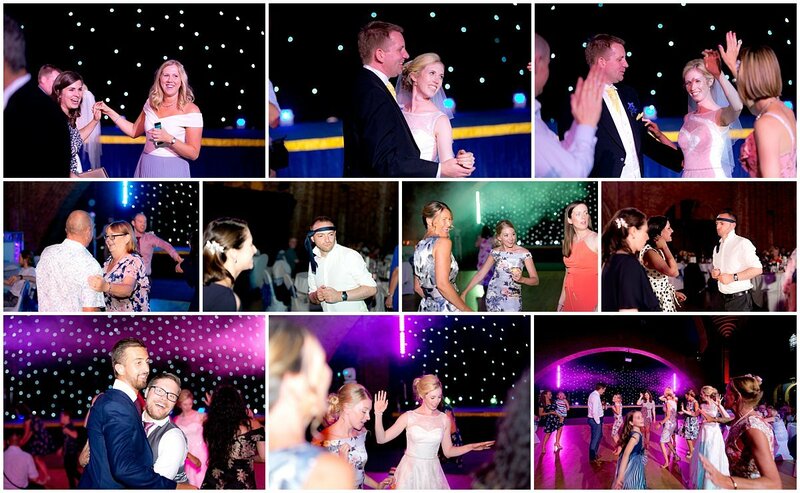 Thanks for viewing the Kelham Hall Wedding Photography highlights with Nic & Edd. Please do spread the love with a like/share/comment for the newly-weds. 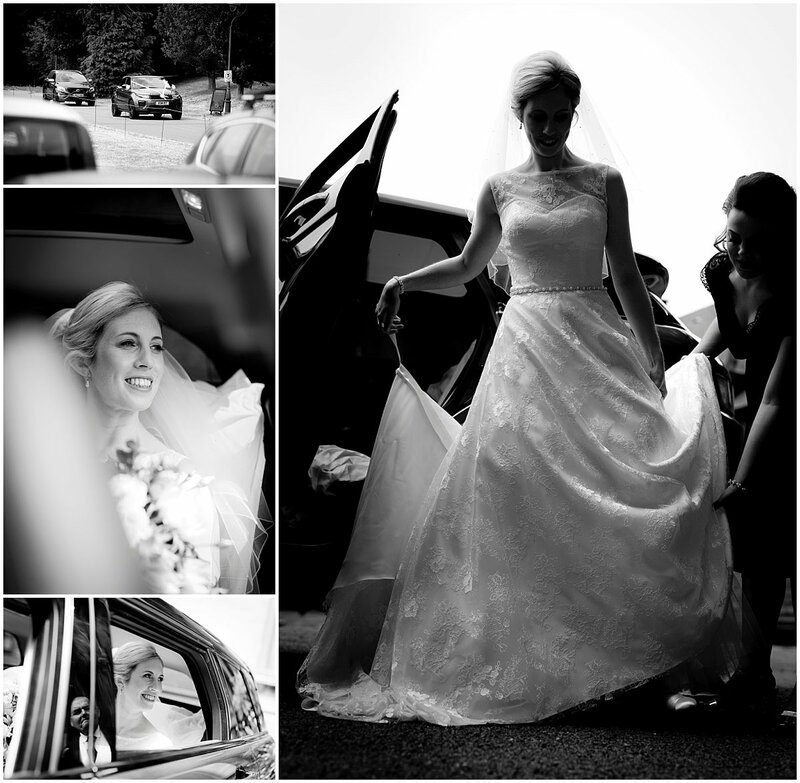 If you’re looking for a Nottingham Wedding Photographer drop me a line with your wedding date or arrange a time to pop into the studio for a chat!